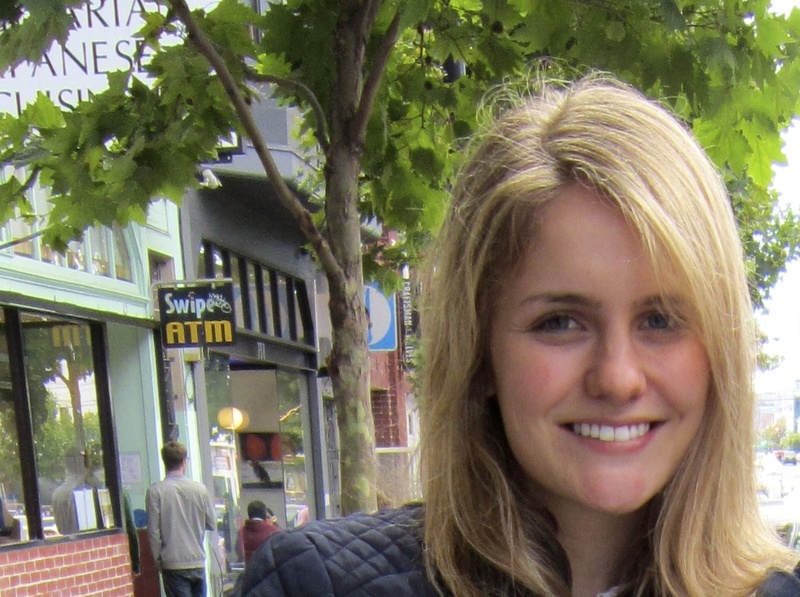 Isabella Banks ’15 received a Thomas J. Watson Fellowship, a one-year grant for purposeful, independent study. Her project, “Making Crime Personal: Restorative Alternatives to Criminal Justice” will allow her to study in New Zealand, Australia, England and South Africa. Restorative justice practices, such as victim-offender mediation, family group conferencing, programs for juvenile offenders, and community policing, emerged to give victims and their surrounding communities greater agency than traditional criminal procedure provides to resolve conflict and address its consequences. As a 2015-16 Watson Fellow, Isabella Banks ’15 will travel to countries where restorative justice has had success, acting as a participant-observer in these practices. Banks will interview individuals involved and evaluate the capacity of restorative alternatives to heal those affected by crime and reduce recidivism within each cultural context. “In doing so, I hope to come closer to envisioning a perfect system of justice,” she said. Her project, “Making Crime Personal: Restorative Alternatives to Criminal Justice” will allow her to study in New Zealand, Australia, England and South Africa. If time allows, she may explore the topic in another country too. The Thomas J. Watson Fellowship is a one-year grant for purposeful, independent study awarded to graduating seniors at partner institutions. Fellows conceive original projects, execute them outside of the United States for one year and embrace the ensuing journey. The fellowship includes a $30,000 stipend. Banks will start her project Aug. 1 in New Zealand and Australia, both of which have widely implemented restorative justice conferencing by drawing from their indigenous roots. New Zealand was the first country to integrate restorative justice into its laws, passing the Sentencing Act, the Parole Act and the Victims’ Rights Act in 2002. Banks will visit prisons in these countries and attend Sycamore Tree, an eight-week program that brings together victims of crime and unrelated prisoners to help offenders better understand the consequences of their actions. In December, Banks will travel to England and work with the Neighborhood Resolution Scheme in Darlington, one of the strongest community restorative justice initiatives in the U.K. that addresses neighborhood conflict, low-level crime and anti-social behavior. She’ll also interview Youth Offending Teams (YOTs) staff, who consult with victims of crime and offer them an opportunity to meet their offenders and decide the focus of their reparation. And in her spare time, Banks will attend workshops on how to implement Neighborhood Justice Panels to get a better sense of what type of resistance and challenges face practitioners who are trying to introduce restorative justice into their communities. In April, Banks will head to South Africa, a country that earned recognition as an international leader in restorative conflict resolution when it assembled the first Truth and Reconciliation Commission in 1995. Banks will be a participant-observer at Phoenix Zululand, an organization that runs ongoing restorative programs in 10 prisons in the province of KwaZulu-Natal on the east coast of South Africa. She’ll also learn more about tackling crime holistically with Nicro, which pioneered diversion and non-custodial services in the country. “In working with these contacts, I hope to learn not only about their approaches and accomplishments, but also about the government resistance they have experienced, and what aspects of their organizations have allowed them to survive despite strained economic resources,” she said. Banks, who is majoring in the College of Social Studies and is pursuing a certificate in international relations, said the growing dysfunction and disapproval of the American criminal justice system ignited her curiosity about potential alternatives.